Filters allow you to apply special effects to images and selections. FILTERS modify images and selections in various ways giving you access to various ways. The sample image to the left will be modified by all the available filters in Pixlr Editor Filter Menu to give you a feel for what filters can do. Some filters have settings. The settings used will be annotated for your information. I used the default setting for most filters but changed changed settings where I thought it would better illustrate the filter's properties The sample to the left is 750 x 1000 pixels (px). The effect of filters may be more or less depending on the resolution of the image you are using the filter on. Blur filter – This has no settings available. As you see at this resolution, the effect was minimal. Box Blur filter - The setting is Amount 10. As you can see, this is a much stronger blur and can be adjusted to your needs. Gaussian blur filter - The setting is Amount 50. As you can see, this is a much stronger blur and can be adjusted to your needs. Unsharp mask – will increase the detail in the photo. They sharpen the edges and detail of objects in the photo. Results may be limited depending on the original image. The settings for this photo are Amount 50, Radius 2, and Threshold 15. Denoise - This filter will reduce the amount of dust showing and other noise in the photo. There are no settings. Noise – will make the image much like a newspaper photo with lots of dots. The amount of noise is adjustable. The settings are Amount 100 and Monochromatic is checked. Monochromatic is either checked on unchecked. Diffuse filter – This filter makes the photo more diffuse. Check the example to see how it affects the photo. The setting is Amount 5. Scanlines – This filter will generate fine lines, either horizontally, or vertically in the photo. The settings Amount 40 and Horizontal which is unchecked. Halftone – This generates dots that become larger as you go from the center to the edges. The settings are Point size 10 and Multiplier 10. 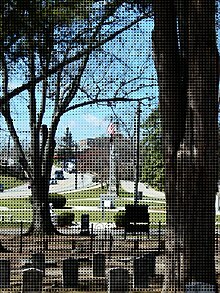 Pixelate – This filter scatters pixels (small rectangles) throughout the photo randomly. The setting is Cell size 5. Pointinize – Adds a screen like grid to the photo. Settings drop down includes Squares, Large circles, Small circles, and Dots which was selected. Water swirl – distorts the photo much like looking through water. Settings are Amount, 10 and Size 100. 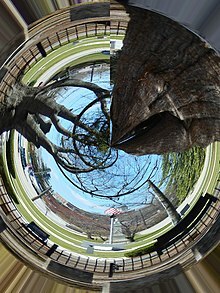 Polar coordinates – distort the photo in a circular fashion. Settings drop down includes Rectangular to polar (selected), Polar to rectangular, and Invert in circle. 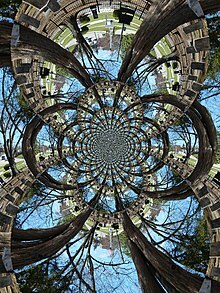 Kaleidoscope – transforms the photo into that similar to looking through a kaleidoscope. Settings include Size 50, Horizontal 50, and Vertical 50. 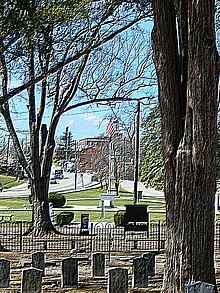 Tilt shift – This filter blurs the top and bottom portions of the photo while keeping the center band clear. The settings include Focus size 35, Focus location 80, and Saturate. Viginette – surrounds the photo with the selected color. The settings are Size 80 and Color box Red (default is black). The color box is amended using the color picker. 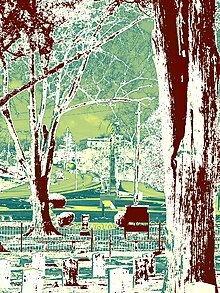 Pastels – changes the photo to make it appear as if it was painted. The settings are Size 2 (default 1), and Inverse checked (default not checked). Glamour glow – adds a glow to the lighter areas of the photo. There are no settings for this filter. Mimic HDR – reduces the contrast between dark and light areas of the photo. It mimics high dynamic range (HDR) photo which lightens dark areas and darkens light through multiple exposures at different light settings. There are no settings. Hope – This filter converts the lighter areas to shades of red and the dark areas to something like a muddy blue. There are no settings. Art poster – This filter has a similar effect to Hope filter but you have settings to affect the amount and the color. There is also an Inverse box which when checked turns colors blacks to white and vice versa. The settings used are Amount 80, Color 85, and Inverse is not checked. These were not default settings. Heat map – This filter shows areas of brightness as shades of orange and darker areas in shades of green and black. The setting is Amount 50. Tri tone – This filter as the name suggests converts the photo to use only 3 colors in various shades as shown in the Color blocks in the settings. The 3 color boxes shown any of which you can modify by clicking on them and using the color selector. The default colors are used in this example. Night vision – This filter turns the photo to shades of green as if you were viewing it through a night vision scope at night. The settings are Gain 50 which increases the brightness and Noise 50 which increases the amount of grain shown. Emboss – This filter gives the photo a stamped look. There are no settings. 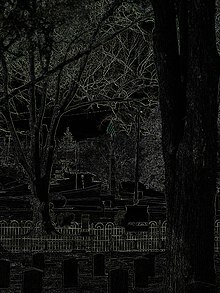 Engrave – This filter's effect is similar to that of the Emboss filter. There are no settings. Find edges – This filter turns the photo black for the most part and shows the edges of objects in white. These photos are just samples to give you a start in getting the effects you desire in photos. I encourage you to try these filters on photos or even portions of photos. The blur filter are useful in blurring backgrounds of items you wish to highlight. This page was last edited on 8 November 2018, at 21:46.